How do I explain other people that making traditional business plans for early-stage startups is a waste of time? Success in any business is a result of a number of factors arranged together optimally. However, some of these factors form the foundation without which other would not function. Idealab’s founder and CEO, Bill Gross shares his views on the key drivers of success and which one stands out. WannaCry ransomware requires the users to pay certain amount (~$300) in bitcoins to “unlock” the encrypted files and threatens to double the ransom in two days. If the demands are not met, the malware threatens to delete the files. Several users have already remitted thousands of dollars. While all fingers point at the U.S. security agency NSA, that debate is better left for later. This advisory post from Eurion Constellation is for individual users, as well as, home/office networks. Before you pick up the telephone and start dialing arbitrary numbers or hurrying out there and informing individuals about what you would like to sell them, you must first determine who would like to be your audience. This is the segment of the total market from where you will get the major part of your sale. Having a detailed knowledge of the gaps and needs of your target market empowers you to sell the right merchandise or services to the right customers. And, this power comes from asking your customers what they want. Every business, regardless of whether it is some MNC giant or that small bakery towards the end of your street, needs to manage its cash flow properly in order to survive. Many small companies believe that the statement of cashflow conveys the same information as the income statement. The reality though, is different. 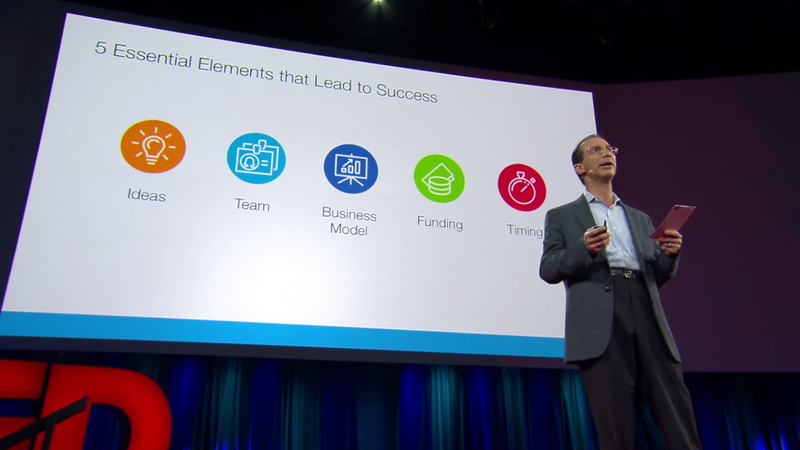 As a startup founder, you will frequently have to explain just what your company does. This is where the Elevator Pitch (or, Lift Pitch) comes in as a brief summary of your business, the work you do, and why it matters. Do You Really Need A Patent Lawyer? You have an invention — something that would fill a need and make life easier. It might even make you some money, if you could get the exclusive right to manufacture it or sell the rights to it. In other words, you need a patent. But the patent attorney wants money to file a patent application for you. Must your invention go waste or should you apply for a patent yourself, without a lawyer? Will GST Lead To Inflation? Unlike in case of Memorandum of Association (MOA), registration of the Articles of Association (AOA) is a non-binding requirement for a company. Section 5 of the Companies Act 2013 provides that the Articles of a company are to contain the rules and regulations for management. Accordingly, the MOA deals with the powers and limitations of the company, while the AOA deals with the powers/limitations of the management personnel. As mentioned, registration of the Articles is optional. The Memorandum of Association (MOA) is a registered document containing all the legal data essentially required for the incorporation of a company and available to the public. Section 4 of the Companies Act 2013 describes the 5 clauses that must be included in the document. The preparation of a Memorandum is a legal requirement for limited liability companies only. India wants to establish itself as a patent registration hub, such that the startups from anywhere can register here. Towards this end, the Government has implemented a lot of intellectual property related proposals laid out in the Startup India Action Plan (Read here). The proposals now have a concrete structure in the form of the Patent (Amendment) Rules, 2016. These Rules aim at lower costs and faster turnarounds. The Indian law for patents is enshrined in the Patents Act, 1970 as amended by the Patent (Amendment) Rules, 2016. So what is a patent? A patent is an exclusive monopoly given by the Government to an inventor over his creation (innovation) for a limited period of time. Innovation can be understood as a brand new item or process, which is ingenious and has commercial applicability. The ownership of a patent confers on the patentee the exclusive right to use, make or sell his/her creation for the term of the grant. Patent is a form of intellectual property and such rights are enforceable in the court of law. Is Silicon Valley Being Irrational About Tech Startups? Donald Trump says a lot of things, mostly crass, divisive and slighting. He has spoken once again – this time about a possible tech startup bubble, which is due to pop. I’m talking about companies that have never made any money, that have a bad concept and that are valued at billions of dollars,so here we go again. If you are looking to start a new business, making your way through the legalities is the going to be the least interesting part. Though, you’ll do well to acknowledge that they actually form an essential part of initial business planning that converts your idea into a reality. For instance, legal business structure is an enabler without which business operations or growth could get into a deep freeze. Let’s say, you are setting up as an online retailer. Nearly all marketplaces will ask for your business registration before discussing anything else. Similarly, most investors, credit suppliers, and channel partners would want to see your company’s existence in government records. Not to mention, it is a prima facie indicator of the seriousness and trustworthiness of an enterprise. Why Are Startups Losing Valuations? On an average, out of every 10 startups 1 will be truly successful; 3 will completely fail; and the rest will tide along till they too collapse, or get taken over. The reasons could be numerous, ranging from weaker domain expertise to lack of planning. However, limited access to required funds still poses the biggest challenge for a budding enterprise. Once the seed capital (mostly supplied by entrepreneur’s own savings or by friends or family) runs out, the need to arrange alternative means to remain afloat becomes an imperative. Startups and MSMEs have caught the Government’s attention as potential sources of economic growth and employment generation in India. The Prime Minister rolled out Startup India Action Plan in January this year, indicating that the Government is serious towards creating an enabling environment for this sector. The current year’s budget has made its recommendations and some implementation deadlines have passed. So, now is the time to evaluate whether the startup sector is really on the path to the promised land. In this series, we will cover the important new announcements and concrete policy steps taken, beginning with tax sops. Finance Bill 2016 has introduced section 44ADA to extend presumptive tax scheme to professionals. Opinions remain divided on whether 50% is too high a rate. Another implication of it has stumped partnership firms, where taxable profits end up more than the actual profits! One of of the key challenges faced by the Government today is increasing the ease of doing business in India that will provide impetus to self-employment and instill confidence among the investor community. Presumptive taxation is one such provision in the Income Tax Act. If you are a startup, micro or small enterprise you might want to consider it. Did Budget 2016 Snub Indian Taxpayers? Budget 2016 has left behind a trail of disgruntled taxpayers with some strong pressure for rollback, particularly in case of EPF taxation. The measure in itself may not be “anti-people”, but the lack of clarity in budget speech definitely led to some misinterpretation and the Government had to clarify. Read details about why taxpayers are unhappy about certain proposals and what is the Government’s rationale behind them.Our pre-budget poll revealed a clear inclination towards change in tax slabs and increase in the exemption limit u/s 80C. However, none found way to the Finance Bill 2016. The Union Budget 2016 is expected to have a big focus on developing entrepreneurial ventures and supporting the existing micro, small and medium enterprises (MSMEs). The Government shares the industry’s view that this segment will drive the future economic growth in a big way and generate employment opportunities. Some of the key demands of the industry are around tax reforms, infrastructure and regulatory simplification. 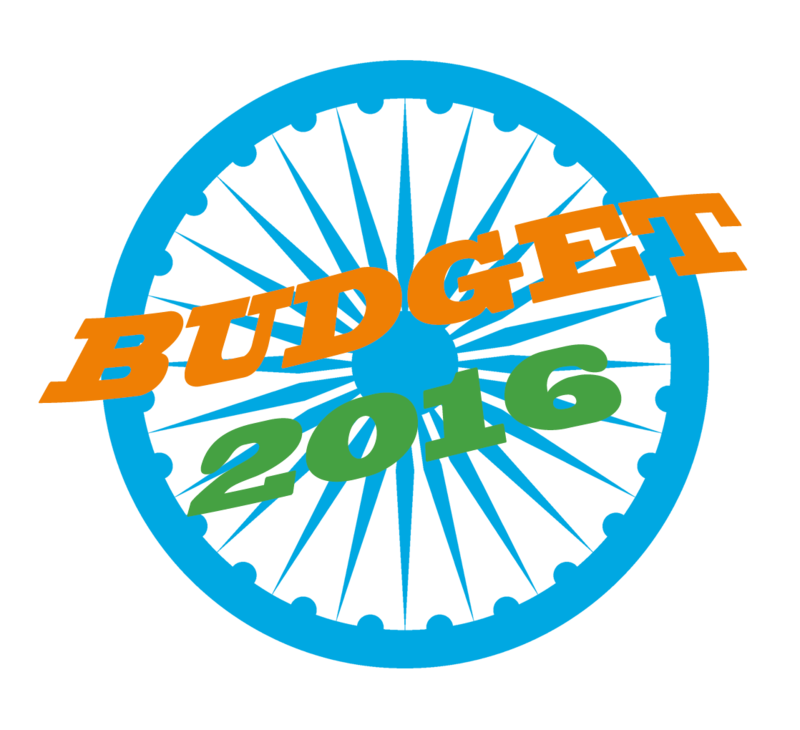 The Budget Session 2016 will commence from February 29th and individual taxpayers are waiting with high hopes. While Finance Minister Arun Jaitely has already made it clear that it is not going to be a populist budget, revisions are expected in the areas where changes are overdue. Brimming with young energy, India presently is a fertile ground of opportunities for the businesses of all sizes. In the startup space, market trends project eCommerce, logistics, IT, and the hospitality sectors as the game changers. As they become stronger, the demand for resources – human, capital, and liquid – is also increasing. The share of these sectors in increasing in the GDP and are currently offering improved employment opportunities. A convincing present and the promising 5-year economic outlooks are pulling in huge venture capital (VC) funding from within the India and outside. In 2014, the country with $4.6 billion in its booty is the third highest venture capital funding destination after the US ($58.9bn) and China ($8.9bn). Bangalore topped the national chart claiming over 50% ($2.6bn) of the total funding, followed by NCR and Mumbai. Finance Minister Pranab Mukherjee indeed had a tough job doing the balancing act between macro economic factors and interests of the masses. However, Budget 2012 has come up particularly hard-hitting for the common man. While overall prices are likely to go up, tax reliefs are not as expected. The incremental cash outflow on account of a blanket hike of 2% in Service Tax and Excise is likely to more than offset the small incremental savings from revised income tax slabs for most income brackets. It is interesting to note that the FM has completely failed to address rising prices and has instead presented an inflationary budget. As per Investopedia, a financial budget is “An estimation of the revenue and expenses over a specified future period of time.” They are often helpful for an individual or entity which is involved in monetary transactions. From a student to the Government, everyone can benefit by building a blueprint of their incomings and outgoings. Even though credit cards offer extraordinary advantages for the buyers, making it possible to ‘buy now and pay later,’ they might not come without any downsides. The same quality of simplicity that they provide, also tends to expose them to various kinds of frauds and high volume scams. Knowing the challenges facing your credit card is the initial step in the direction of safe-guarding yourself from a financial complication. A few basic checks can furthermore ensure that your credit card account is safe and sound. Union Budget 2011 was being approached by much curiosity and anxiety. FM Pranab Mukherjee presented the Budget for FY 2011-12 in the Parliament earlier today. As the provisions were rolled out, the Bill turned out to be a mixed bag. The FM had a tough task of balancing the conflicting goals of lower taxation, lower inflation, growth impetus, and budget deficit. Some of the major changes were proposed in the fiscal provisions, as highlighted below. Now, that the Commonwealth Games 2010 are over and the results pouring in, the regulators and investigation have started their probe into what can turn out to be one of India’s largest financial scams so far. The original budget for the Games was set at Rs. 3,800 crore. However, on the basis of the Joint Parliamentary Committee’s (JPC) findings, the opposition has alleged that the actual expenditure in hosting the games was to the tune of Rs. 70,000 crore! The Government has declared an expenditure of Rs. 30,000 crore, squarely blaming the escalation on ‘rising’ prices. This is especially interesting in the light of the fact that Beijing concluded the entire Olympic Games within Rs. 28,000 crore barely two years ago. Looking at the magnificent opening and closing ceremonies, smooth organization during the event, the enthusiasm of the spectators, and the hype around the 19th Commonwealth Games, it is hard to imagine how miserably it fell behind its goals in financial terms. Gold needs no introduction – a cherished commodity in some cultures and one of the most preferred investments, en said specially in turbulent times. If you are investing, take it as a long term value proposition, rather than a short term profit making tool. Whenever the global economy hit a roadblock, gold had witnessed a surge in demand. Over a decade spanning from May 2006 to May 2016, gold price has more than doubled from approx USD/oz 682 to USD/oz 1,302! In the shorter term, stock markets may appear glossier with quicker returns on the back of frenzied activities during bull runs. On the flip side, the same markets can be very volatile and often ‘sentimental.’ While the matured stock markets are often said to mirror the fundamental strength of the economy, they react to news and often, half-baked information, at the blink of the eye.